Common Sort, a two-and-a-half year Leslieville staple , welcomed a West-end sister to the family this month. 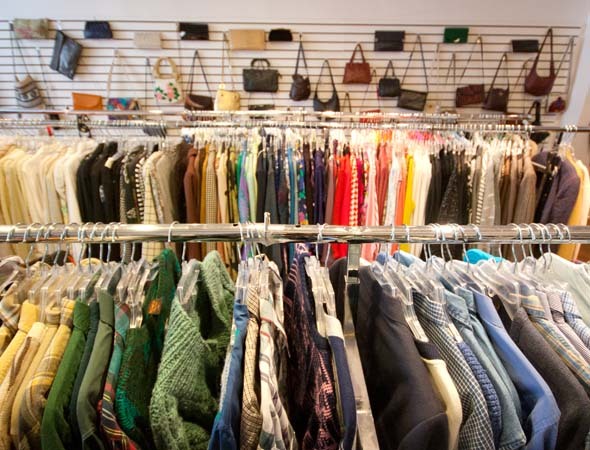 The second-hand clothing shop expanded to a second location in Parkdale just two weeks ago. Near-new gingham men's shirts, designer denim, flawless silk scarves and vintage leather pencil skirts neatly line the walls of the massive space. 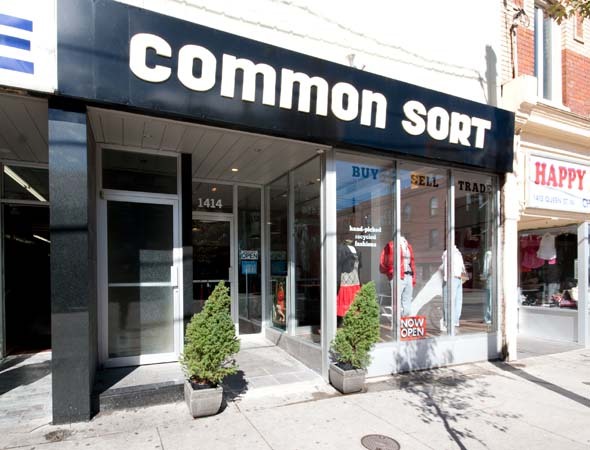 But Common Sort isn't a vintage shop. "We keep getting called vintage ", laments owner Nicole Babin. Nicole and I sit in the new location on a vintage couch overlooking a wall of shoes, many of which are also vintage. I can see how people can make the mistake. But on closer inspection, a large percentage of the up-for-grabs goods are just great barely-used items with high-end labels. I spot white Escada jeans for $50 and near-mint Miu Miu suede peep-toe pumps at a steal. An immaculate emerald Liz Claiborne shift dress ($28) has my name all over it. Nicole insists, however, that she's not overly caught up on labels. The criteria? She has to love it, and of course the items need to be in excellent condition (I don't spot a single sweater with pills). "We'll even take H&M," she adds. The racks are neatly stocked with wearable styles and fabrics (not the usual over-abundance of polyester), and even a few "fun" pieces. A Creamsicle-orange jumpsuit has the makings of a really bitchin' Halloween costume. 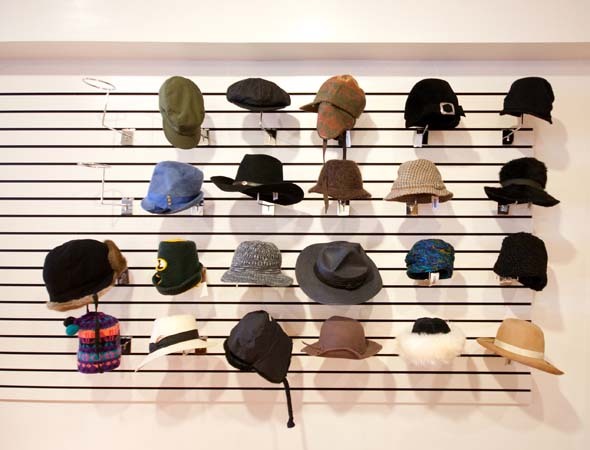 Clothes and accessories are gleaned the usual way, by combing thrift stores for great finds. Nicole earmarks Mondays (her only day off) for this task. Common Sort operates a fairly unique Buy-Sell-Trade business, too. Customers can sell clothing to the store for straight-up cash on the spot or store credit. Approximately 40% of the Leslieville stock is derived from this channel, but the concept hasn't quite caught on in Parkdale yet. 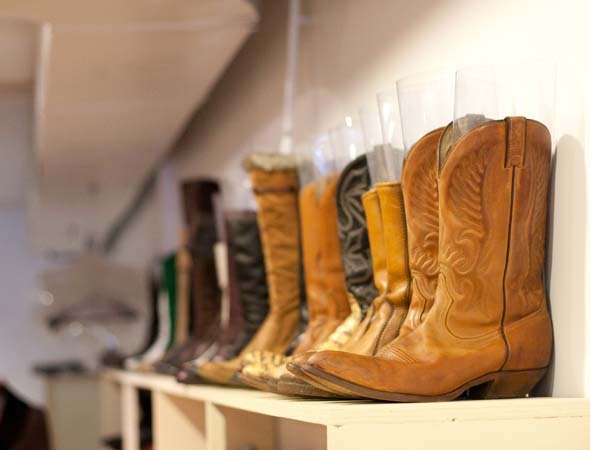 The space is huge, by Queen Street retail standards, approximately four times the size of the first location. With so much more space to work with, Nicole envisions greater possibilities for the store. She and her staff brainstorm event ideas, from art installations to clothing swap parties. "We have the space to carry more basics, too," she says, referring to ample racks of tees and simple sweaters. While I don't mind a good scavenge, many feel overwhelmed by the tediousness of thrift shopping. So for my friends who don't share my love for the thrill of the hunt? Common Sort has done the dirty work, eliminating the junk and even sorting pieces by size and colour. The clothes are also steamed. A girl after my own heart, Nicole obviously believes that presentation is paramount in retail success. Dennis Marciniak. Writing by DaynaWinter.